Coffee4Kids patron, NSW RFS Commissioner Shane Fitzsimmons, presents a cheque to the Child Protection Unit. 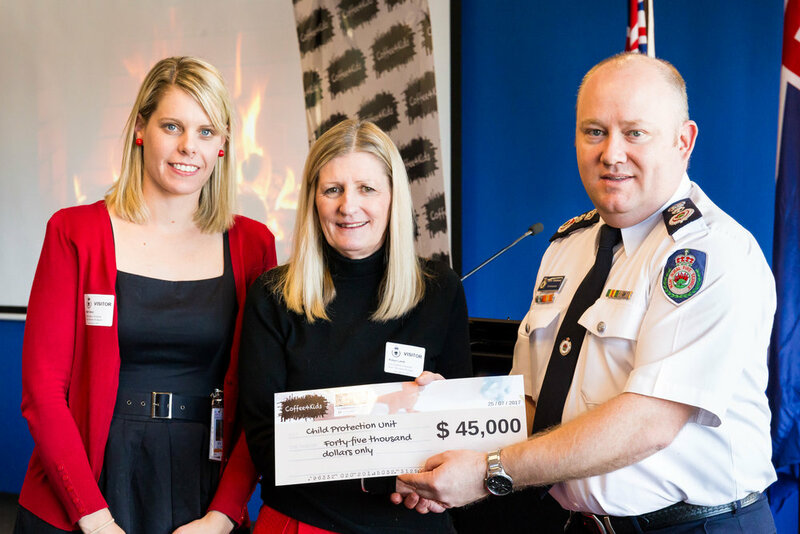 In July, the NSW Rural Fire Service staff held a Christmas in July function to handover a cheque to the staff of the Child Protection Unit at The Children's Hospital at Westmead. This cheque represents the funds raised at the Charity Ball held earlier in the year. At the Christmas in July event, more than $800 was raised. This will also go towards the overall fundraising effort for the Child Protection Unit.